Nowadays holding a wedding party is not only inside the house. Setting up an outdoor wedding tent for wedding ceremony is very popular. You can enjoy the outdoor scenery, the fresh air, gentle winds, warm sunshine in the outdoor canvas marquee. 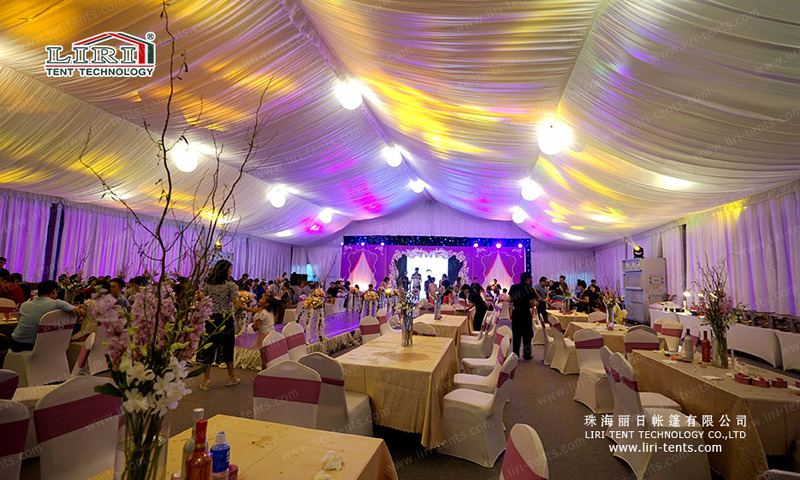 LIRI TENT produce beautiful outdoor wedding tent with luxury decoration for newlyweds. The width is from 3-60m, it is modular structure, the length is unlimited. It can be increased or reduced by 3m or 5m. 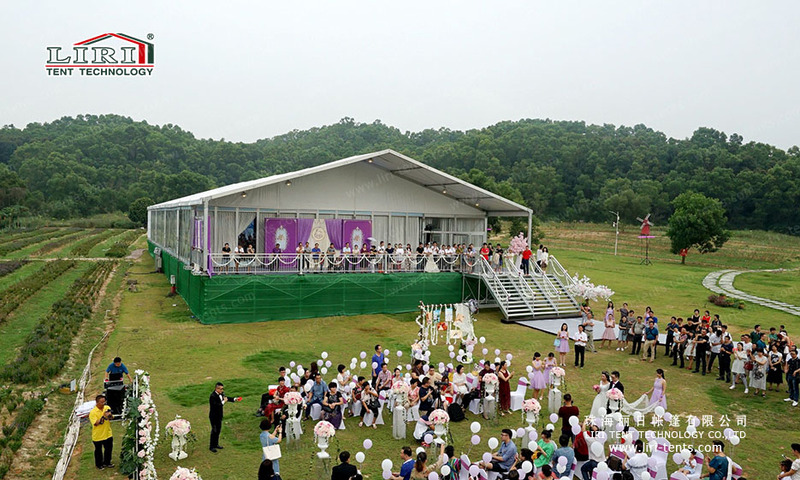 The outdoor wedding tent is with many optional accessories, such as white PVC fabric sidewalls, clear PVC sidewalls, glass walls, glass doors, lining, curtain, luxury chandeliers, cassette flooring system , banquet furniture and so on. 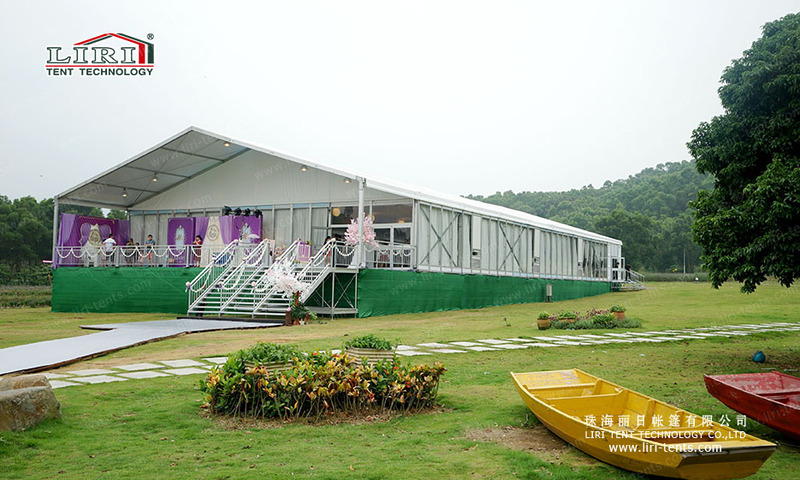 LIRI TENT, which is a professional wedding tent manufacturer in China. 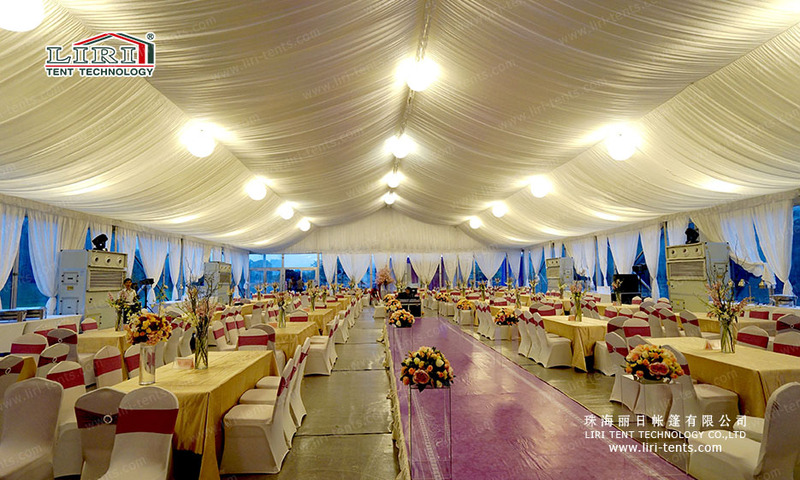 We can provide luxury tent, ordinary tent, big tent, small tent, arucm tent, half sphere tent, double decker tent or other tents according to your needs for your wedding ceremony.